In the present climate of litigation, many clubs are now afraid of the words health and safety. However, with a common sense approach to surveying your trees, an efficient and cost effective strategy can be put in place which should cover your legal requirements. It should be noted that relatively few accidents per annum arise from trees; most of these occur where adjoining highways when vehicles are moving at speed. For instance, in the past decade an average of four deaths a year have occurred as a result of roadside trees falling on vehicles or from collision's with fallen trees. The risk of being injured or killed by a falling tree is therefore low. 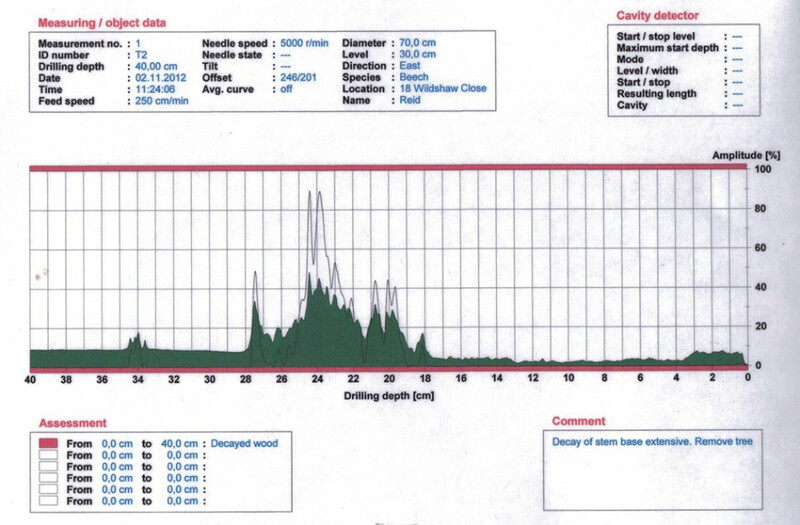 A new approach to tree surveys has recently come to the fore, which involves identifying areas of high and low risk. This allows the land owner to concentrate his efforts on key areas. A tree survey plan should be put in place incorporating zones of high and low risk and the amenity importance of any notable trees. A landowner or manager can define areas of use, prioritising the most used areas or those which have a definite target, such as an adjoining property. This is a cost-effective approach to tree surveys and can focus resources on appropriate areas. It contributes to sensible risk assessment and a defendable position in the event of an accident. There would typically be two zones - high risk and low risk - high risk being an area which has a target (a house or building) or is used by many people every day. On a golf course, this could be a tee or green or, in general terms, could be a public footpath, road, children's playground or railway line. Who can assess in the first instant? An assessment should take into account all trees on the property, looking at the location of trees in relation to levels of use. A basic assessment of risk can then be made. This initial assessment is best done by the landowner or manager of the site as local knowledge is essential. A specialist should not be required at this stage. Once the preliminary assessment is undertaken and areas of high and low risk are identified then a plan of monitoring can take place, taking into account the former. 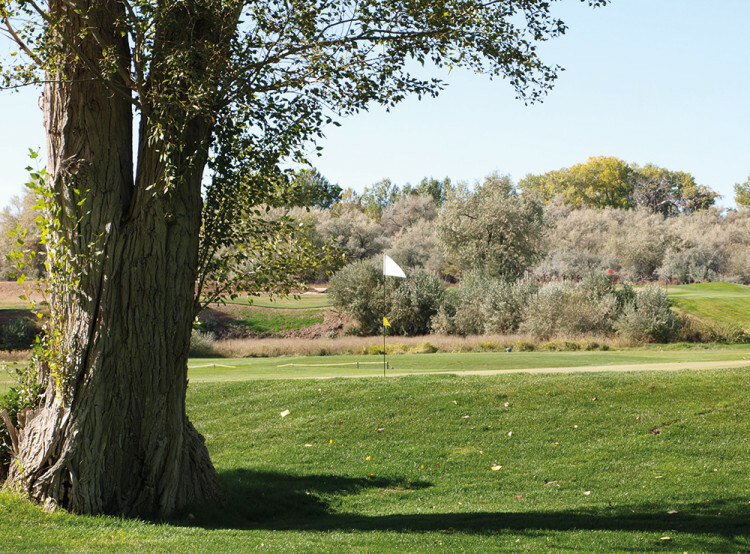 Trees in areas of low public use, or without a target, may only require irregular inspection by a visual survey; these areas need to be recorded as part of the zoning plan. An annual visual inspection should suffice. An owner/manager should decide a policy appropriate to their site, which is influenced by levels of use and the importance of the trees. 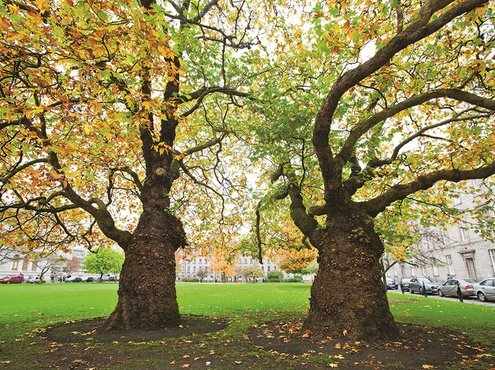 Trees with structural faults which are valued for their amenity value will, of course, require greater monitoring and possibly specialist advice. It is reasonable to inspect trees within falling distance of well used areas, such as roads, footpaths or on golf course greens and tees. Zoning allows resources to be allocated to areas of high risk. An inspection may take the form of informal observation, formal or detailed inspection. Following zoning, it is necessary to identify the type of inspection required. Initially, this can be carried out by walking the site. Trees that require further inspection can be identified depending on their location in relation to risk, their size and condition. If there are any doubts at this stage, then specialist advice should be sought. Assessment should also take into account the species of tree. For example; as a rule, poplars are far more likely to fail than an oak. Ground conditions should also be assessed if an area is wet, as there is more likelihood of a tree suffering from wind blow. It may be wise to involve a specialist in the zoning process. However, once the plan is in place then annual informal visual inspection can be undertaken in-house and, any trees which are of landscape or amenity value that show symptoms of disease or potential for failure, can then be monitored by a specialist. This ensures resources are allocated cost efficiently. Technology can be used where the retention of important amenity trees is desired (see detailed inspections). In certain areas of low risk, informal observation may be all that is required and, given the general low risk posed by trees, this may be considered reasonable and appropriate. However, choosing to implement a system of informal inspection is not justification to do nothing. Informal inspections should take place and be recorded. 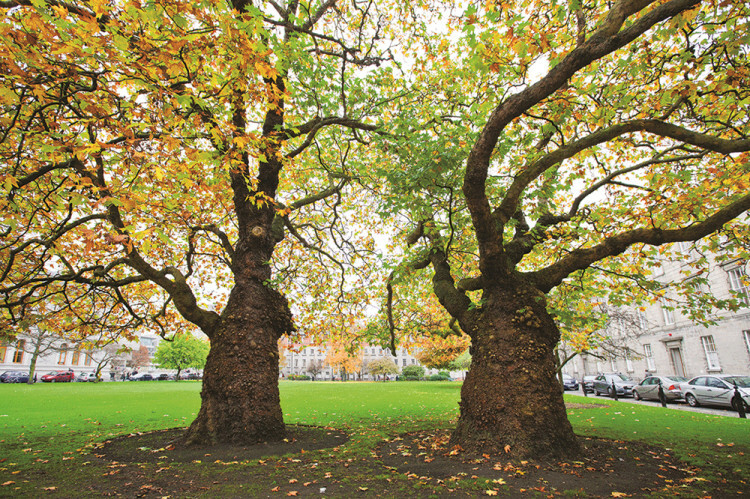 An informal inspection should take the form of a visual assessment of a tree's general health, structural stability and position with regard risk. Any observation which causes concern should then be acted upon and a formal inspection made. Likewise, any reports regarding tree issues by either staff or the general public will require action, this would normally involve a formal inspection by a competent member of staff or by a specialist. 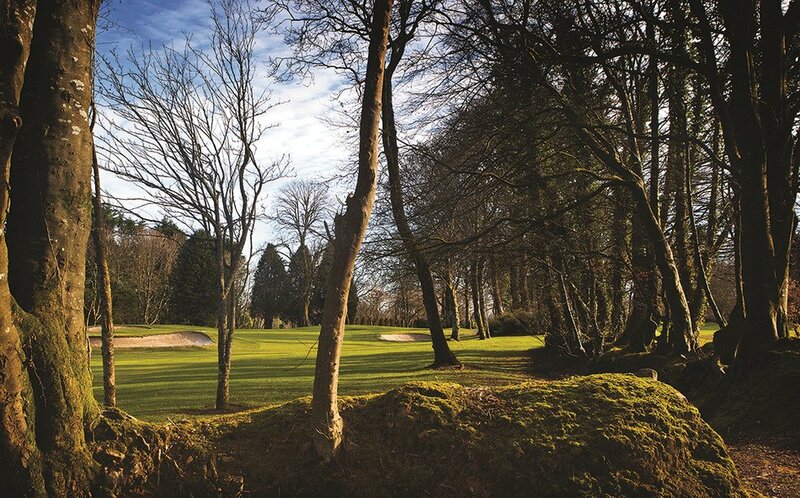 Informal surveys can be carried out by a person with good local knowledge regarding usage of the site (owner, greenstaff, consultant) and, therefore, identify areas of high risk. This does not require a specialist, although any potential problems that are identified should be acted upon. 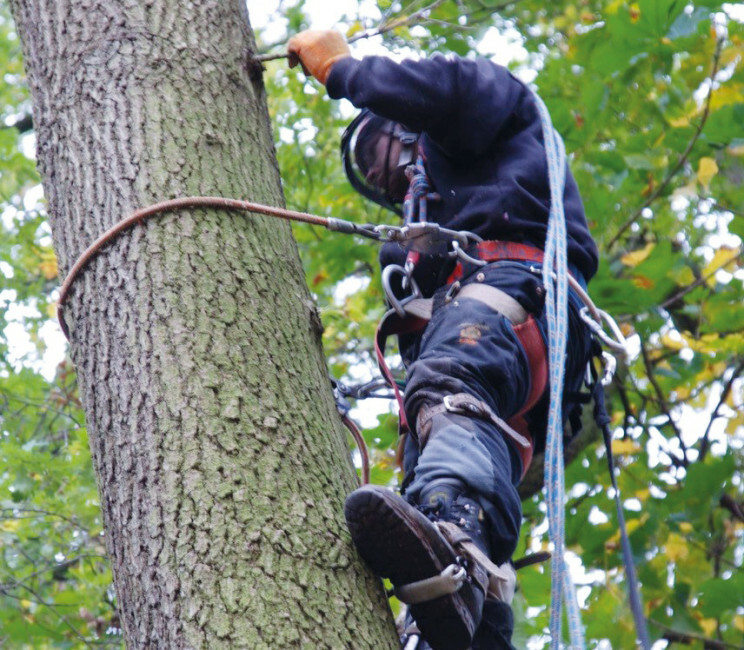 A formal inspection is one where a person visits a tree for the sole reason of assessing that tree, for either inventory or health and safety purposes. This will normally take the form of a ground level inspection looking at the general health and stability of the tree; assessing die back, uprooting or structural defects. 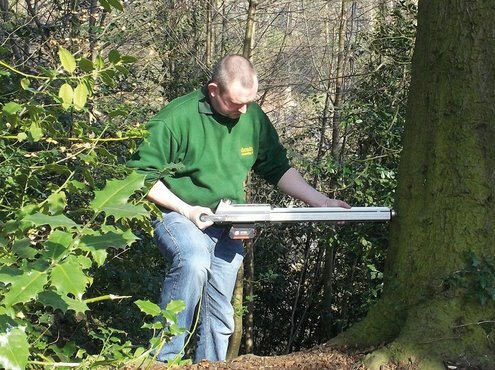 This provides a cost-effective means of identifying trees which present a risk and require a detailed inspection. In order to undertake a formal inspection, a general knowledge of trees and the ability to identify poor health or structural weaknesses is required. Further, the capacity to assess the height and falling distance of the tree is also essential in order to establish the element of risk the tree provides. The ability to identify visible signs of ill health or structural weakness, such as cavities or heave (root plate movement), is also necessary as they may cause the tree to fail. Detailed surveys should be carried out by a qualified specialist who is experienced in the field of investigation. The landowner should satisfy themselves of the specialist's qualifications and experience and ensure that they have the necessary insurance to carry out the tasks required. Generally, an initial ground level visual assessment will take place to identify signs of structural failure. This may result in the need for further specialist investigation comprising either soil and root assessments, aerial surveys or the use of diagnostic tools such as resistograph drill. Detailed surveys are generally confined to trees of high amenity value to the landowner. Records should be kept to provide evidence of due care and attention. They should not be onerous, but should record date and type of inspections and any actions required and subsequent remedial works as appropriate. They do not need to include every tree, but it would be advisable to list individual trees that present risk listing and identifying them and their location, the findings of detailed inspections and the actions taken to minimise risk. 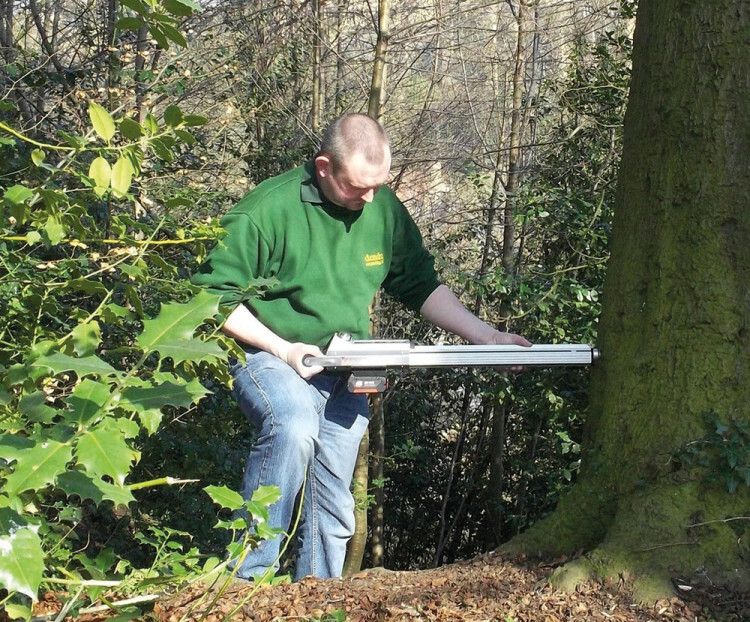 The resistograph is an instrument that detects decay and cavities in trees and timber. The arborist is able to detect wood decay, stages of rot, cavities, cracks and ring structure. It can also be used in certain species to measure growth rings and bark diameter. The stability and health of the tree can then be assessed much more accurately. As the micro drill enters the tree, the resistance of the wood changes the rotation speed of the drill. These variations are translated into a graph. The tiny drilling hole closes itself up without any damage to the tree. This then provides written evidence which, combined with the experience of the arborist, allows a rational decision to be made. There is no substitute for experience, as the drill provides evidence of only the area where it is used. The arborist's experience will tell him, depending on the pathogen, where the greatest likelihood of failure is liable to be. Different fungal bodies attack different areas of the tree; some favour roots and buts, whilst others may favour branches or limbs. 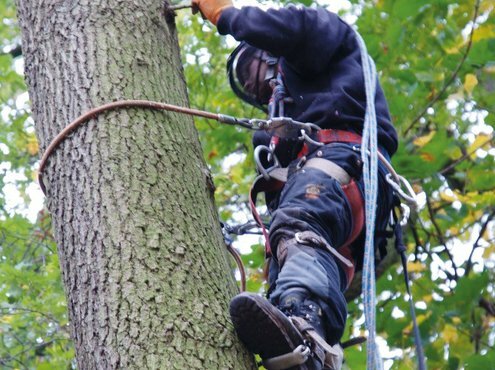 It is, therefore, important to ensure the arborist you use has sufficient experience to assess the tree before detailed surveys are under taken. Article by John Nicholson, Independent consultant on habitat and landscape management.